When it comes to online wedding dresses Central Illinois brides have thousands of options available at the click of a button! Brides often spend hours browsing the web for wedding inspiration because the internet is a valuable resource for 21st century brides. On our website, we even post photos from our #AdoreRealBrides’ big days and a selection of our bridal gowns. Brides should, however, be wary of buying their dream wedding gown online. There are many reasons why you shouldn’t buy a wedding gown based on a picture and description you found online. Not only does this rob you of the bridal appointment experience, but brides have faced plenty of online bridal gown nightmares when they order a beautiful dress and are delivered something entirely different. Shopping for a bridal gown online isn’t the same as shopping for your typical dress. Bridal gowns are usually two sizes smaller than regular clothes, but each designer has their own size chart. This is why trying the dress on at a bridal boutique is the best option for finding the right size. The description may say that the gown you are looking at is tulle or chiffon, but fabric comes in many different grades. If you don’t feel your gown before buying it, you can get stuck with a wedding dress made of cheaper tulle, leaving you itchy on your wedding day! There’s a reason why we are in the business of supplying wedding gowns. At our bridal boutique, you can find stylists who are dedicated to making each and every bride feel beautiful, and helping them get ready to walk down the aisle on their big day. 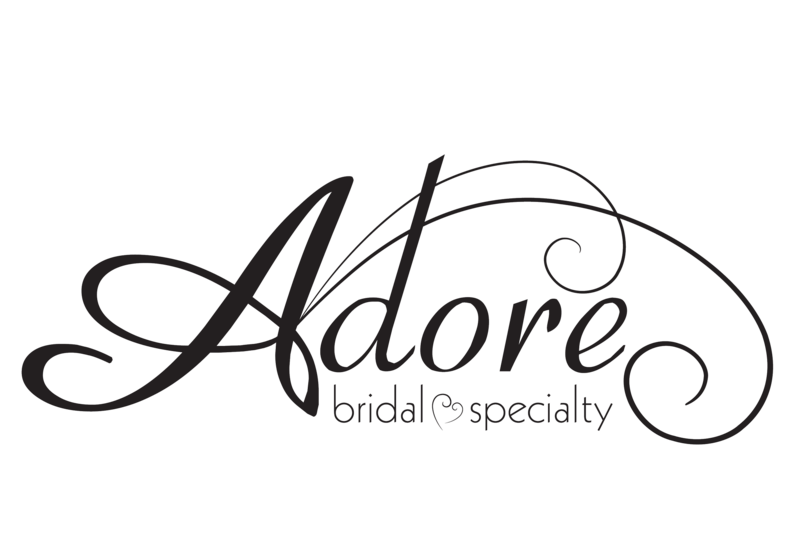 After you search through online wedding dresses Central Illinois brides can put their trust in Adore Bridal & Specialty. Call us at 309-291-0838 or schedule your appointment online to try on your dream dress immediately!